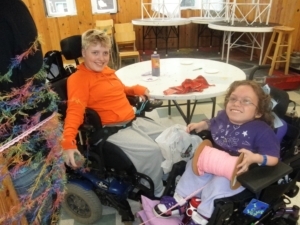 “When I think of camp, I think of a place where no matter what your physical appearance is – whether you are a first-time camper or have been going for numerous years or whether you have a minor disorder or have a disorder that makes it so you can’t control any of your body movements – the counselors, coordinators and the rest of the camp staff will do anything possible to make your week at camp enjoyable. 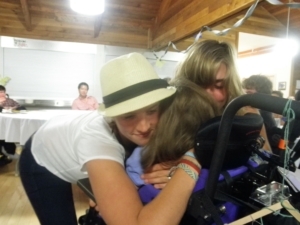 I was an Easter Seals camper for 11 years. 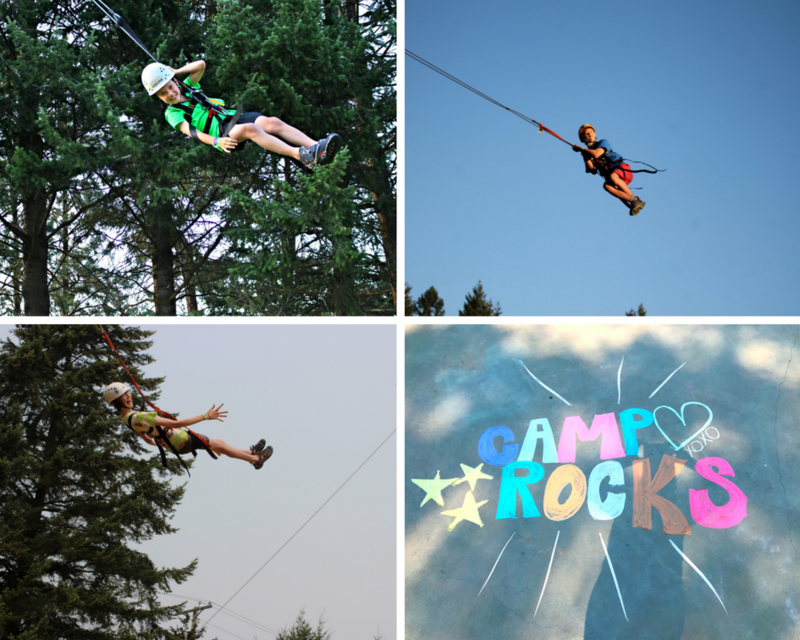 One of my favourite activities to do while at camp was going on the big swing that was 60 feet off the ground. 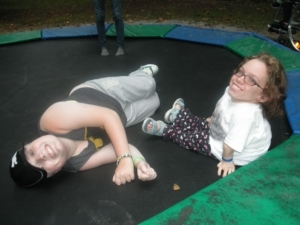 I went on the swing every year that I went to camp, a total of eleven years, and loved it! The big swing is made up of two wires that are strung together between two telephone poles. Hanging down from these wires is another wire. After you have been harnessed to the wire which is hanging down, the ladder, which is under you, is pulled away. Your fellow campers and counsellors that are on the ground pull on a rope which pulls you up towards the telephone pole. Once you feel that you are high enough you let go of the rope that is helping to pull you up and you swing in between the two telephone poles. The height to which you are pulled determines how long you swing between the two telephone poles for. It’s an amazing feeling to be up that high swinging. Take a look at these kids flying!!! 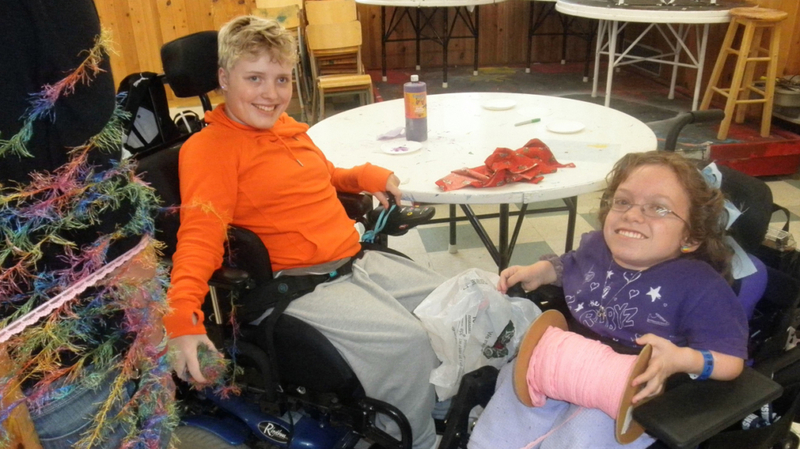 Fun times in arts and crafts, hugs from counsellors and chillin’ on the trampoline with friends!